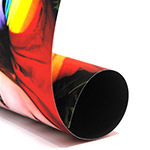 Most commonly used in roller banner units. 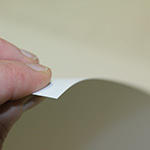 150 micron thick polyester film which is easily rolled for transportation. Most commonly used for indoor pop-up exhibition frames. It is a 300 micron thick polyester film with grey backing and is a durable option for exhibition prints which need to be rolled for transporation.